Sorry it took me that long to answer you guys!!! drcatherwood - You were right, Notion Thief is awesome! It's almost a instawin when you cast a "wheel". ThaneGarrus - I'd rather to stick with the Firemind. I's easy to cast with the and it is a "combo" with Mind Over Matter . derpytrollerZ - Curiosity triggers with any damage, not only combat. I can draw my whole deck when using it on Niv-Mizzet, the Firemind or just draw a bunch of cards with Nekusar and a "wheel". Helm of Obedience is a dead card if you don't have a Leyline of the Void on the field, but I really like this combo. And the Leyline is a must in my meta. hkhssweiss already explained the importance of the Library of Leng , it prevent the deck itself from decking out and selectively allows me to keep which cards I want in a wheel effect. It also gives me unlimited hand size. hkhssweiss - I no longer run Kess, it was a nice suggestion, thank you! 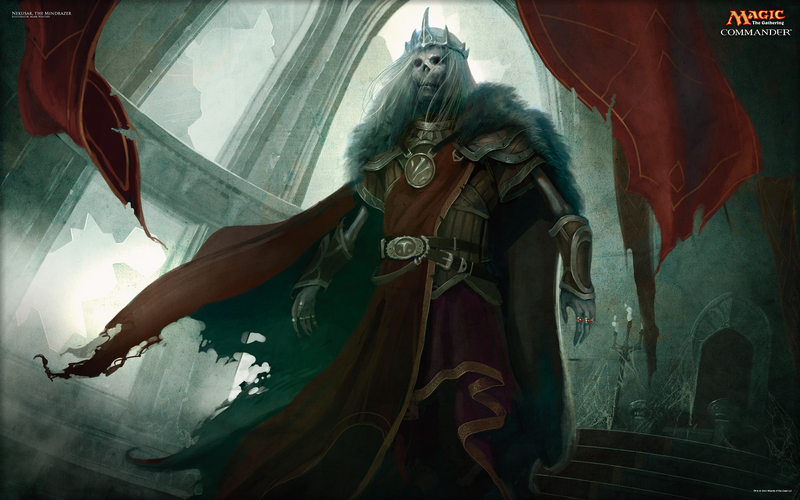 I'm thinking about swaping No Mercy for the new Bolas's Citadel . Rambolicious_0 - I used to run them in the past, they're really not worth it. April 17, 2019 12:31 p.m.